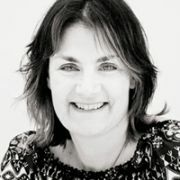 Fran Luckin is the Chief Creative Officer of Grey Africa. From 2013 to 2015 she was Executive Creative Director of Quirk Johannesburg, a digital agency and part of the Mirum group. Formerly, she served as the Executive Creative Director of Ogilvy Johannesburg, where she worked on a range of global accounts such as Unilever (Ponds, Dove), P & G (Clearasil, Always), Kraft, Cadbury, Kimberly-Clark, Avis, Audi, BMW, SAB Miller, Coca-Cola, Fanta, KFC and Diners’ Club International. Her achievement in the industry has been recognized in many ways, including being a judge on the Film Jury at Cannes Lions 2010, making the SA Creative Ranking List and being listed at one of the top 50 Creative Directors internationall by PIAFYS.